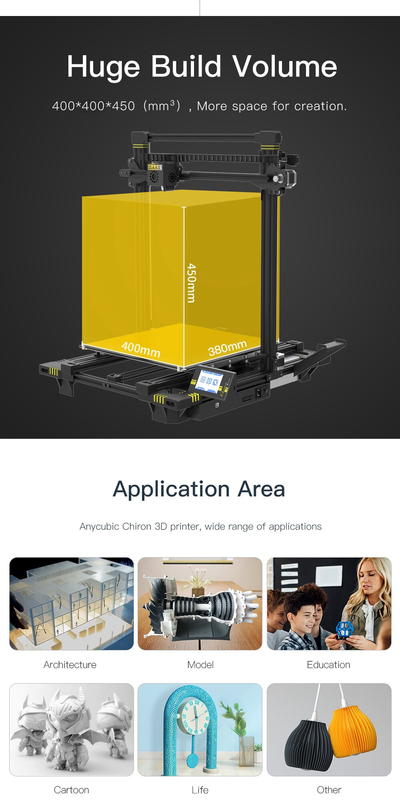 The Anycubic Chiron features a large 400x400x450mm build volume which is nearly twice the size of I3 Mega with an excellent features listed below. First 3d printer for me and so far so good. 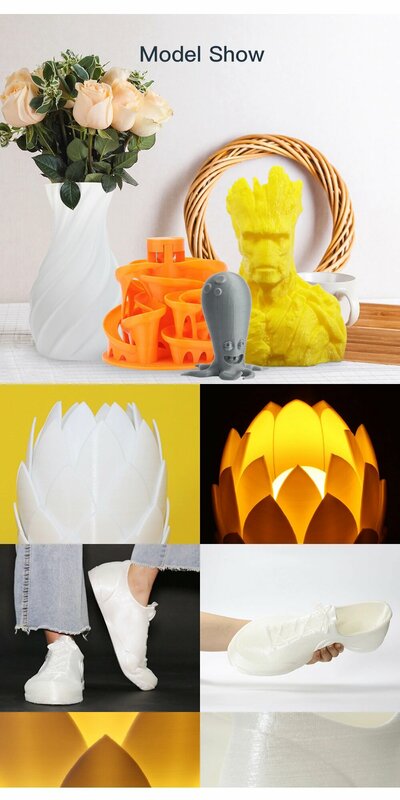 Seems to do everything it is supposed to and makes some quality prints. No issues and assembly was easy. I look forward to pushing it's limits in the future. Loving this printer. It is a solid printer and it is a big printer. If you get one you will need to go over every nut and bolt and make sure they are tight. My print bed and extruder carriage was very loose and will require tightening to make a good print. For the price it is a very nice printer and is a definite update from my Anet A8. After using the Chiron for a few days I have to say that I'm pretty happy with it. It's a solid machine that prints really nice. Good Printer. A little "post" work, and it is a "Great" printer! Encourage purchasers join a support group, and review needed or recommended changes. It's an excellent machine for the price..I have only done a few prints on my Chiron but can attest that this machine is AWESOME!